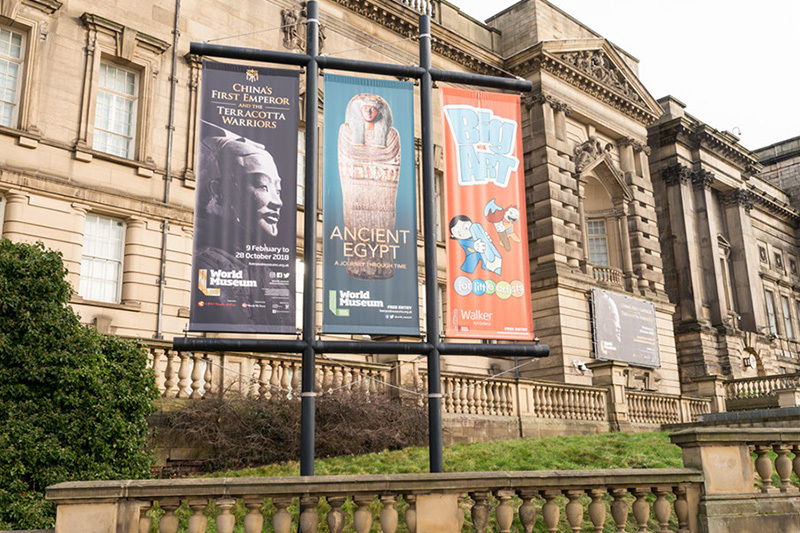 As part of our long standing relationship with National Museums Liverpool we were asked to supply the banners promoting their latest exhibition. 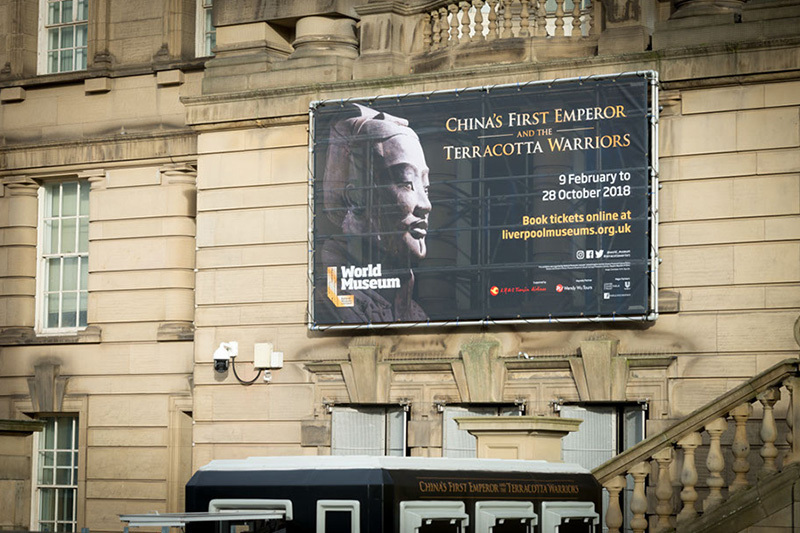 In what is a major coup for the North West, the Terracotta Warriors are now on display at The World Museum, Liverpool, showcasing the largest haul of early Chinese treasures to reach British shores. The breathtaking exhibition is now open, where 10 life-sized terracotta statues, including life-sized cavalry horses, are displayed alongside more than 160 artifacts from before the Qin-era in China. The fitting of the digitally printed, large format banners required a hoarding/scaffold/structure license and cherry picker access. 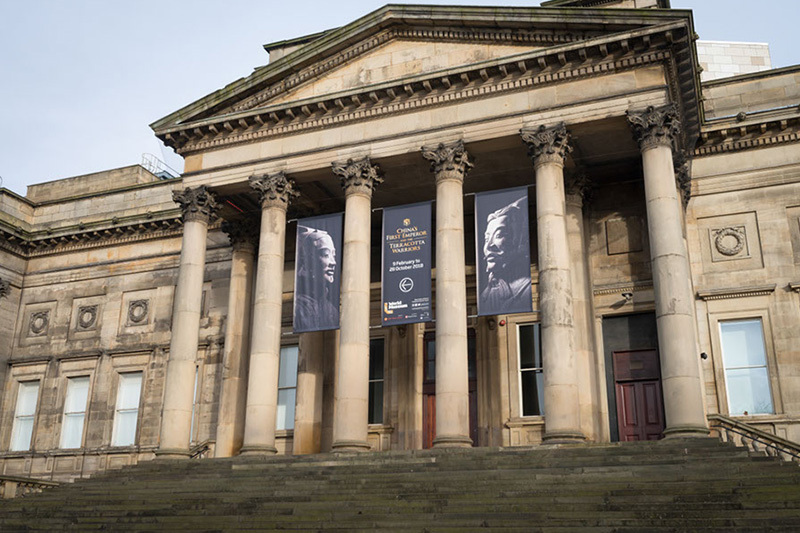 Installation was carried out of normal working hours due to the positioning of the banners onto the prestigious grade 2 listed building on William Brown Street. Another successful banner installation, advertising in what promises to be a once-in-a-lifetime opportunity to view the historic artefacts. 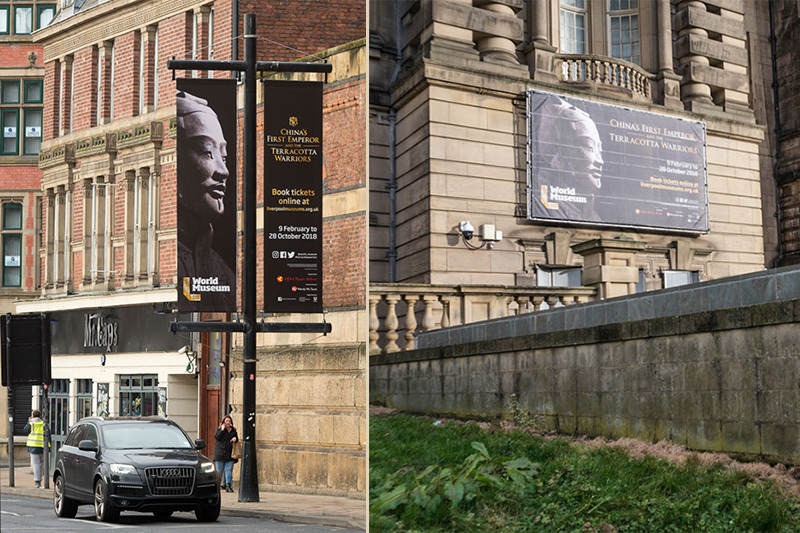 Digitally printed, large format banners manufactured and fitted for Liverpools World Museum.